There’s a lot going on in Small Churches, and in the ministry of New Small Church. So, if you’re wondering where to start, this preview of essential posts will give you a good idea of what we’re about. And what we’re not about. Scan the titles and excerpts, then click to read more. They’re listed by the order they were written, but each one stands on its own, so you can read them in any order you’d like. Virtually every lead pastor will pastor a small church. At least for a while. Usually longer than we expect. Let's do it well. Three facts sit atop my list of things I wish someone had told me in Bible college. FACT #1: 80-90 percent of pastoral ministry students will never pastor a church larger than 250 people. Some people love to put others down. The church is full of them. Becoming a big church is hard. Becoming a great church is simple. Not easy, but simple. We make church harder than it needs to be. Why? I think a lot of it has to do with our size obsession. Last week I wrote a post, Six Church-Insider Issues I Don't Care About Any More. It resulted in more readers than any previous week this blog has ever had. Apparently, being passionately apathetic is contagious. Is it possible to be passionately apathetic? Is Church Holier With the Lights On? Or Off? Two services. On opposite ends of the country. They couldn't have worshiped more differently. Which one got it right? There is no right format for worship. This week I spoke at a ministers’ conference. In the closing commissioning service, most of the new ministers who came forward were wearing jeans and short-sleeved shirts. Those commissioning them were dressed the same. 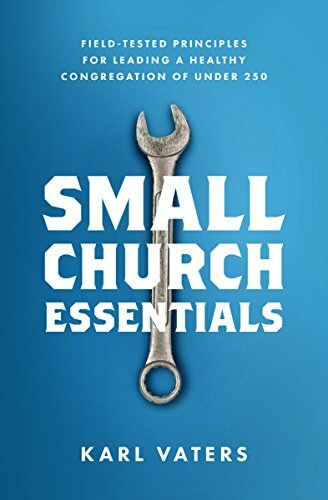 The list of ingredients for a healthy church is short and simple. The list for a big church is large and complex. We need to know the difference. Do all healthy things grow? Yes. Do all healthy churches become big churches? No. Why bother trying to resurrect an old, dying church? I’ve heard that question a lot.